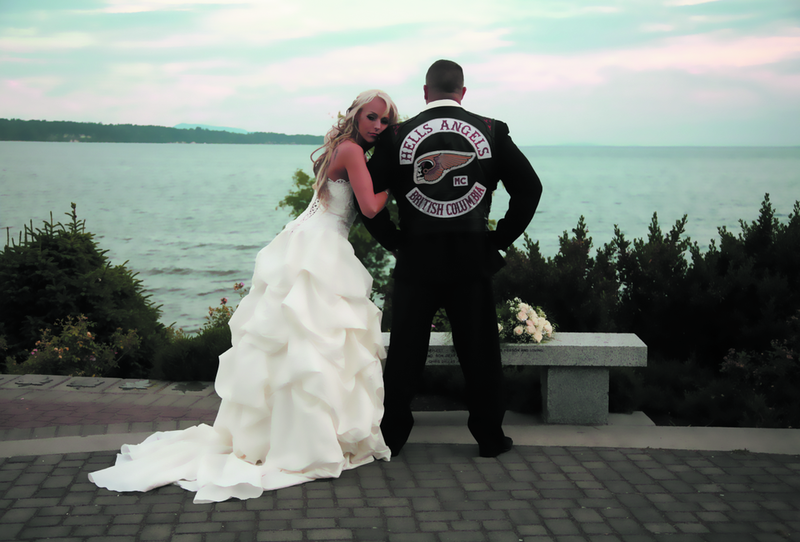 "Yes I am a Hells Angels ex-wife but most of all I am Kerri" - Author Kerri Krysko talks about her memoir "Kerri-On"
Kerri Krysko on her wedding day with her full patch Hells Angel ex-husband. Kerri-On is your first memoir. Tell us a little bit about what the book speaks about. Kerri On is a true story from childhood to where I am now. Others may never go through what I went through. The message is that I survived and continue on in life, without grudges, without labeling and, most of all, with love. Yes, I am a Hells Angels ex-wife, but most of all I am Kerri, and I am proud to be me. You've gone through a pretty rough life. You were married to a Hells Angel member and you are exposing most of that story in your book. What's your ultimate purpose? I didn't know any different. How I did go through life? To some, it might be considered rough, but was it to me? At times, yes, I suppose it was rough and heartbreaking, but also lovely. As a child, I would whisper within my own mind, that I would never allow my own children to feel the loneliness I felt growing up, and never ever give up on them, and love them no matter what. I held onto my beliefs and values and yes, I struggled, but I always had a positive outlook on life. From an early age, I loved people, animals and our environment. I see beauty where others might see darkness, or corruption. I know the prejudice of labels, and being told you're something you’re not. I wanted to help lift those labels off our children and people. I wanted to give them the power to recognize the signs and to be themselves once again, and perhaps bring understanding to parents and people who may have someone they know going through something similar. I share my journey with the purest of intentions; it takes another to understand these dynamics surrounding our existence. As many mistakes as I made, I was still human with huge feelings of worthlessness. I know I never had answers to my doubts so I want to give those answers to people. I need to help others. It’s been in me my whole life, and it is my destiny, I believe. it was a continuous stream of questions, everywhere. So I thought, I am going to give those questions answers. I know in my heart I was meant to write my true story, so I did. How challenging was it to write about your own past and let people read about it? I have a community supporting me. They lift me up, even on special holidays, we are invited everywhere. Its beautiful to know now that there is this world out here and all I had to do was open my eyes and learn to trust again. I continue to Kerri On, as that is what I know to do. I am not ashamed of my mistakes. They have shaped me into what I want to be, and owning your own truth is the greatest gift of all. It gives you the answers you seek and the self-worth we all deserve to be fully one with ourselves. Weeks went by and the e-mails were coming in from my assistant at FriesenPress asking for the manuscript back. I just hit send, numb this time. It was a day later I snapped out of it, and realized I never read to see if there was proof reading that needed tweaking. I couldn’t read it again and I couldn’t relive it. The past is the past. So, I passed it to a friend to do it, from there another door opened, a door of love, and the eyes of a stranger reading my pain. That enveloped and carried me the rest of the way to get this on the shelves. That’s the truth of what I still had to overcome. I will never allow my children to relive the horrors of what we went through together. In my own self, I had to heal once again, and I did it with the compassion of others and the people I allowed to read my story for me. There you have it: the pains of yesterday will always hurt you, but the promises of tomorrow will indeed heal you. Kerri-On is part 1 of a trilogy. How long did it take you to finish writing this series? It took me 4 months. I wrote from my heart, and everyday, while my boys were at school, a chapter came out of me alone. I let the tears pour as I spoke from my heart and it rushed out like a tidal wave. How helpful was the FriesenPress team during the production process of the book? They were amazing. I didn't realize how long the process was after hitting send on my manuscript. To me I was done, but they kept me busy with all sorts of forms and paperwork. They allowed me my voice that had been stifled for so long. It was refreshing. My assistant Erin was on top of everything. She was able to push certain protocols that usually fall into a sequence at FriesenPress to better suit what was going on with my book. When I say this, I am talking about the process in which they do things. It works for some authors. With me, I was already gaining so much exposure we had to do things a little different. If authors ask, FriesenPress will do their best to accommodate. They deal with many different authors as well as books. 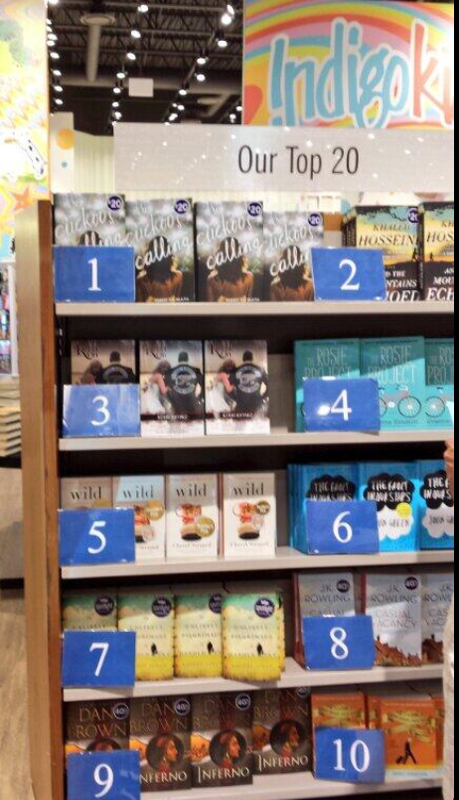 Lets face it, they're not all alike.FriesenPress cares about what their authors are going through. They do not try to fluff it up, as some firms might. They give it to you straight, and that was what I liked most. I remember deciding to sign with them. It was one of the hugest decisions I ever had to make. Trust me, I had about 5 or more publishing firms make offers for my story and I even had a firm offer a joint venture ship. The FriesensPress consultant was upfront and honest. It wasn't that they were telling me you’re going to have a mass market bestseller. Nope, Matt said,” I am not going to lie, Kerri. It’s up to you to make this happen.” I loved that most – no bull and no lies. You honestly have to believe in your work, and what you have to offer, to make it. I did. To have others value your opinion is priceless. How can anyone complain? Having such a controversial story, you could easily convince a traditional publisher to publish it. What made you choose self-publishing? I wanted my true story to be in my voice, from my hand. I was unaware in the beginning how traditional publishers work, so it was a no-brainer to make sure I owned all rights to my story. Now that I do have a hundred percent of the say, I could sell part of my story to screenwriters as well as producers, not just traditional publishers (which I never knew before). I am in full control, which is nice for any author who writes a true story, or any novel for that matter. There are so many controversies surrounding authors who sign with traditional publishers who continuously belittle them. One minute their bouncing off the walls, all happy they landed this huge deal (which I would’ve done), then when the Huge Publishers use their resources to garner attention to this authors work, and gain a large amount of sales, the author feels deflated, as if they were ripped off in some way, when in fact they need to ask themselves if they would have had the exposure on their work otherwise. I honestly do not know, I am not saying I am against it, I am just much more wiser now than a year ago. Between me and everyone else who reads this, a traditional publisher would have had a lot more to gain back then with me. I would have probably been one of those authors who felt I should’ve done things differently and signed with the 1st offer that flew my way. I have met some great authors, as well as publishers, so my eyes are wide open now. I can only go on what my intuition told me, and that was maintain my rights to this story, to my true story. Only I lived it, and I knew deep within that it was going to receive attention. I knew I was the 1st women (that I know of), who ever wrote her side of being with a full patch Hells Angel. You have already created lot of buzz around the launch of this memoir. Please tell our readers how you managed to achieve those goals all by yourself as a self-published author. This book was talked about a year before I ever started writing it. People promoted my work, pushing me to write this. That, in itself, was the greatest buzz of all. When people believe in you, it truly uses the best way to launch any sort of business or product to the market: word of mouth. Then, you have the internet, which is crucial, and the people you meet along the way that catch wind of your project and they start believing in you, too, and there you have it – the best promoting possible: each other. Any last inspirational message for the readers and fellow authors? Readers: Never give up on your dreams. No matter how bad life gets or seems, remember there are always blessings to be found. It may take a while to achieve your goals and visions, but all you truly have to do is believe. What comes with believing also comes with embracing the belief in yourself. Authors: Write from your heart and imagination. Too soon is never too soon to promote your work. Never doubt yourself. Keep on believing because your day is next: become a bestselling author, a new author, or write a book that turns into a movie. Make sure you write for your readers and not to outdo another author. Be your own author with your own signature. I am an avid reader. I love paranormal romance… historical romance… true stories… all types of books. Chances are, I will be buying or have bought at least one from every genre of our bookstores. It's what I do every day of the week before bed. Less Television and more reading – it expands the imagination and gets us off all those screens… enjoy my book…as I do yours! I look forward to connecting with all my fans, supporters and inquirers. Please visit my website www.KerriKrysko.com to make contact with me through my contact page, or follow me on Twitter, @KerriKrysko.